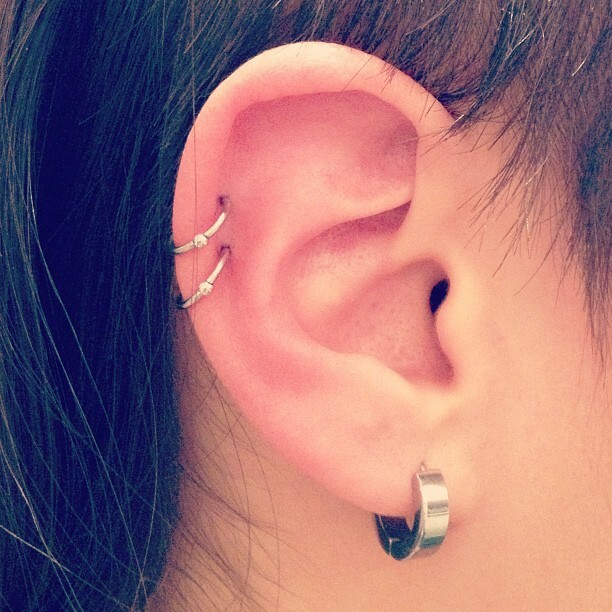 Double Helix piercing in white gold. Beautiful jewelry!! I am big fan of white gold and it looks awesome. Your white gold earrings are amazing. Helix piercing, is trendy these days. I would also like to get it done but I think it would be too painful.